Iris Flower In Black And White is a photograph by Jennie Marie Schell which was uploaded on January 12th, 2010. 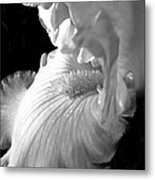 Close up study of a bearded Iris flower in black and white photography art for your home or office decor. Congrats Jennie on your stunning first place contest win. Beautiful capture, Jennie. Congratulations on your 1st place win in the "Amazing Irises" contest. Congratulations on your first place win in "Amazing Irises" contest. Thank you Joy, I didn't know! Congrats on your Third place win, contest Just Iris Flowers. This is beautifl in black & white. You really notice the beauty in texture of the flower, the way the light plays on it. Thank you joy for your kind comment! 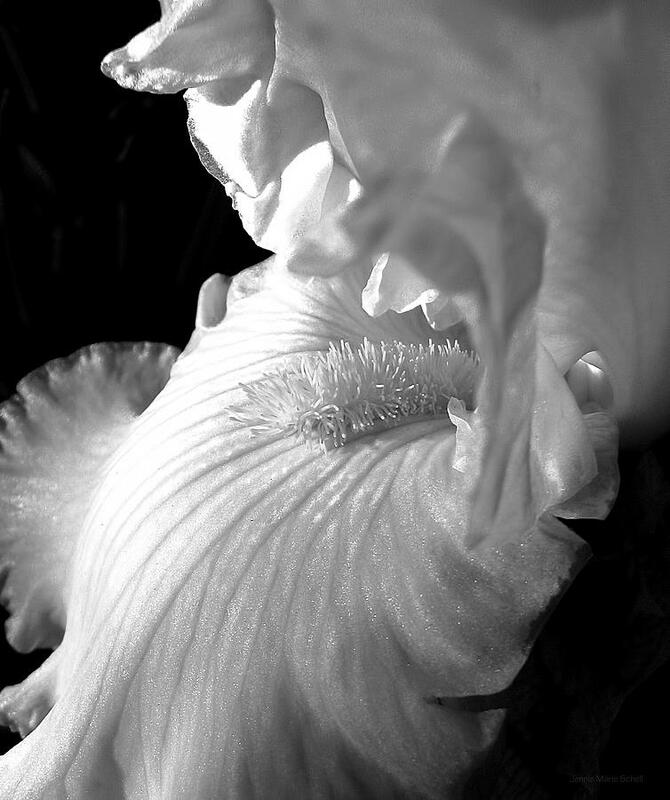 The black and white really brings out the detail of this beautiful iris. Makes one notice the shimmer of the petal and the delicate shadowing of the veins. Love it! Jennie , I love this monochrome Iris great light and detail. Thank you Terence for all your kind comments! What a fantastic use of black & white. Well done, indeed. Oh, so lovely, like a dance! Jennie, when I saw the thumbnail of this piece, I didn't know what I was looking at. It's quite beautiful! I like how you cropped it and the high contrasting values.